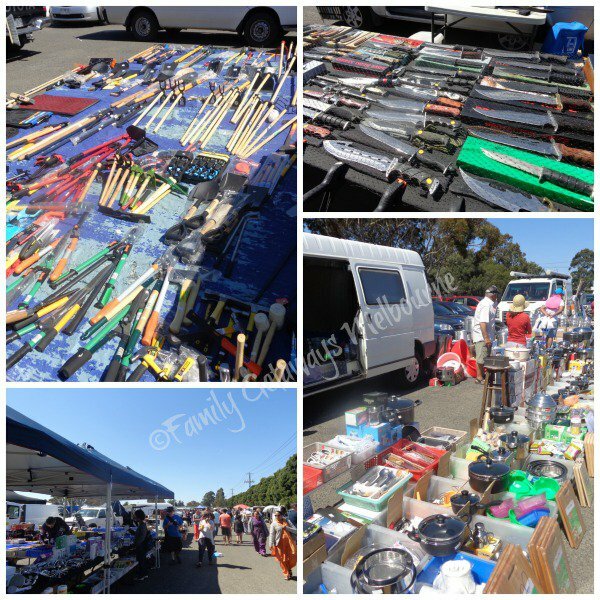 You will find the biggest and the best new and secondhand market at Laverton, situated 38 minutes south east of Melbourne Central. Here, 14 hectares have been set aside for this rubble and riches gold mine, a true treasure trove of goodies to sort through. 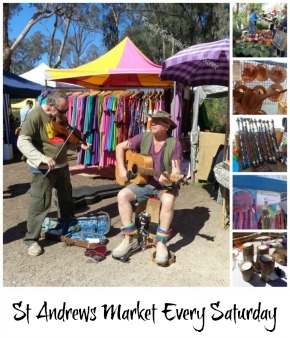 The market is held on a Saturday and Sunday, every weekend, with the exception of Christmas Day if it falls on a weekend. Leakes Road is only 800 metres away from the Melbourne Geelong Freeway and 10 minutes by car from Melbourne’s CBD. For your convenience you can also reach the market using Public Transport. 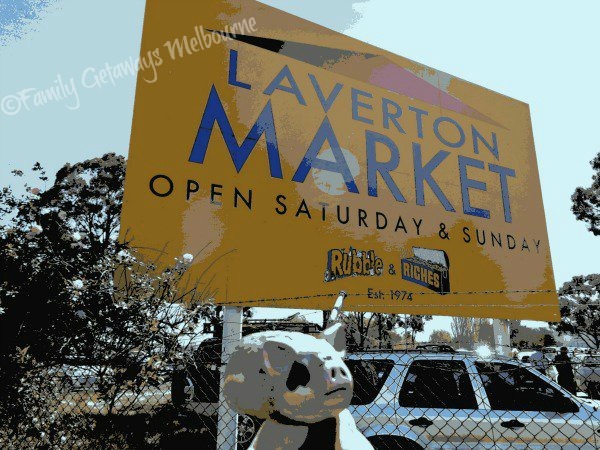 Bus Route 400 travels from Laverton Station to Sunshine Station on Saturdays and Sundays. The bus departs from Laverton Station at 6:30am, 7:30am, 8:30am, 9:30am, then every 30 mins. This Map shows where the bus will drop you at the Market. 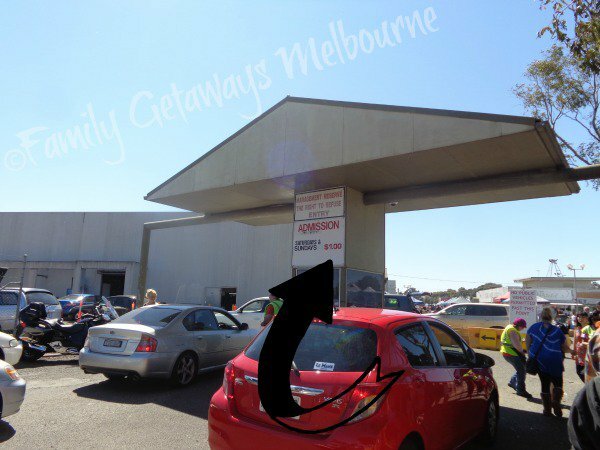 You are able to drive right into the market car park at no extra cost. Children are admitted FREE of charge. There is also an adjacent car park that can accommodate up to 1000 cars. 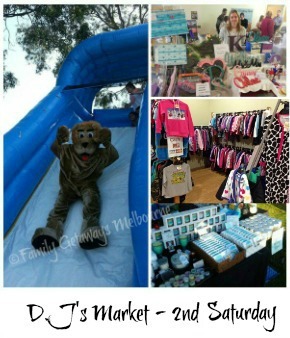 The market is just a short walk from the car park. 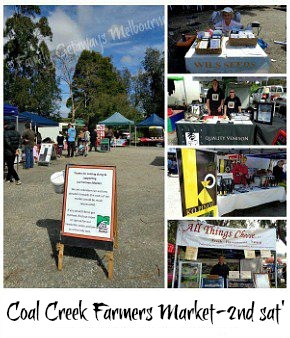 The market stalls provide a variety of plants. 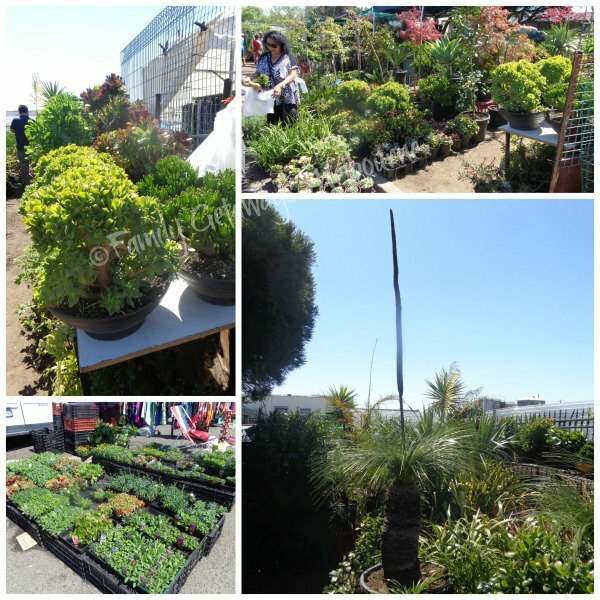 Both large and small, seedling punnets, bonsai trees, fruit trees, cacti and succulents, hanging baskets and so much more. 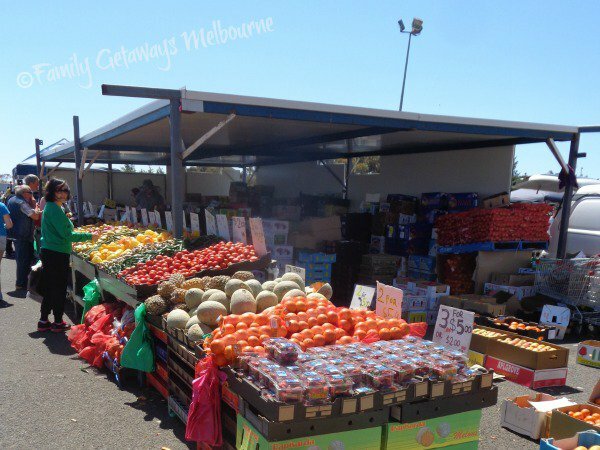 A great draw-card has to be the variety of fresh fruit and vegetables selling both inside and outside at the market, not to mention the availability of fresh eggs, baked goods as well as sauces and spices. The kitchen doesn't miss out either, with plenty of amazing cookware and kitchen appliances, as well as chopping boards, knives and other cooking implements. If you love movies and movie paraphernalia, wander into one of the undercover pavilions. 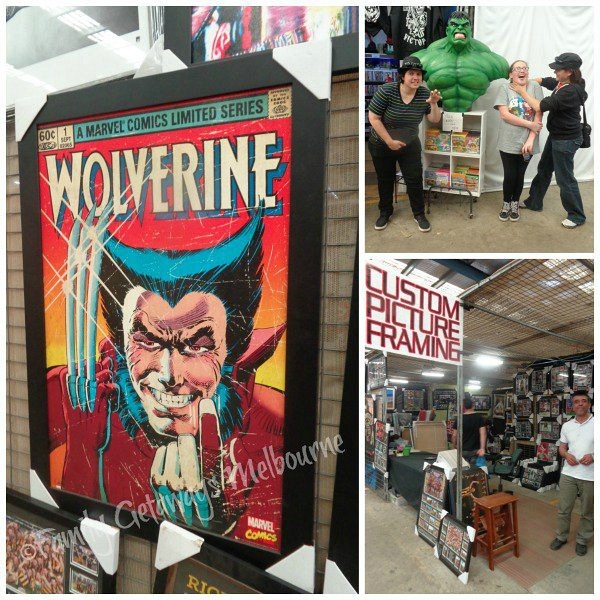 Here you will find movie busts, posters, collection cads, costumes and so much more. Super Heros merchandise such as Superman, Spiderman, The Incredible Hulk, Wonder Woman and so much more, will thrill the kids and keep them amused for hours. 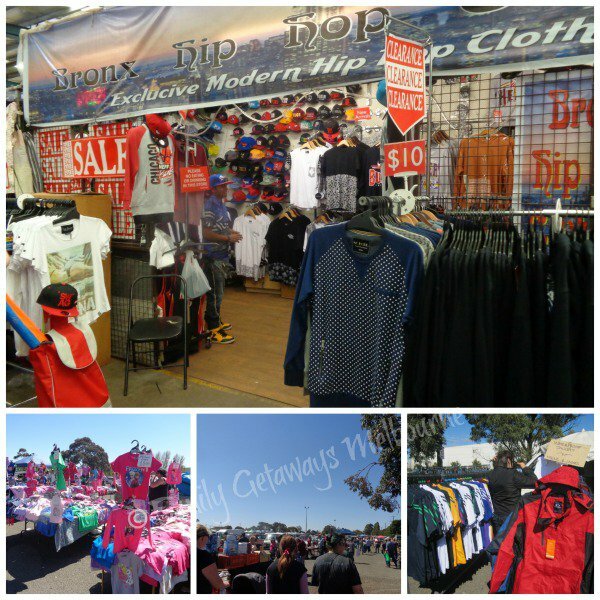 The market is an excellent place to pick up a piece of new and used clothing. 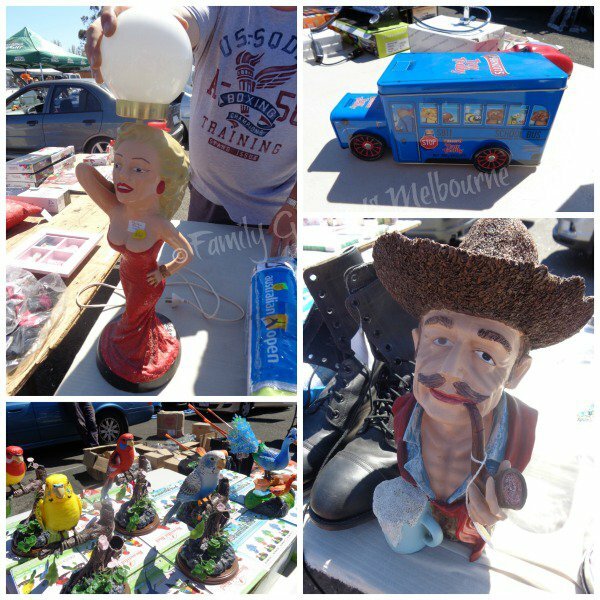 Here you will find some of the latest trends as well as past collectables. Mens, Womens, Childrens and Babies clothes can be found inside in the pavilions or outside scattered throughout the rubble and riches. 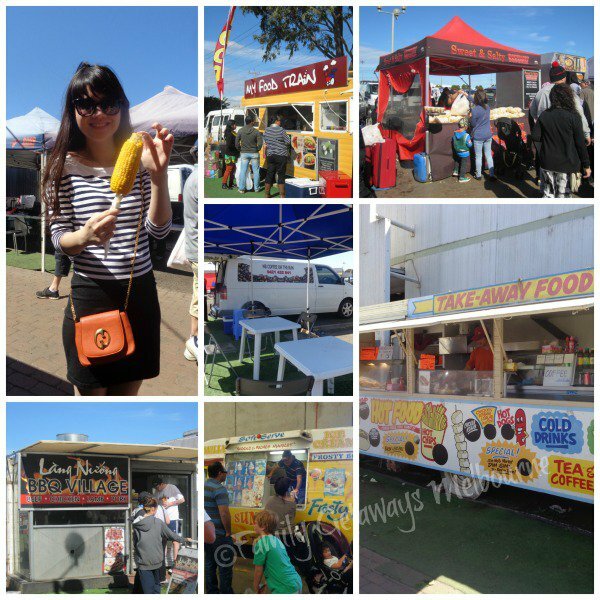 Shopping is hard work and you will find the market has plenty of food stalls, supplying you with whatever your taste buds prefer. Hot or cold, the food is well cooked and delicious. Try the doughnuts, they are yummy! There are cold drinks available as well as a refreshing cup of well brewed coffee. Most food vans will have seating on the side where you can rest up and gather your strength for the next round of market shopping.